Backstage footage from an ISIHAC recording in Buxton, from 2003. 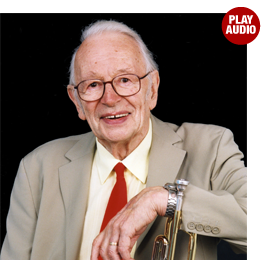 Humphrey Lyttelton opens the show with some new definitions of familiar words, featuring Graeme Garden, Barry Cryer, Tim Brooke-Taylor and Harry Hill. Backstage footage from an ISIHAC recording in Buxton, from 2003. 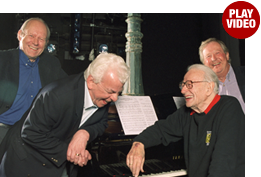 Humphrey Lyttelton introduces an opera themed round of Pick Up Song, featuring Graeme Garden, Barry Cryer, Tim Brooke-Taylor and Harry Hill. Backstage footage from an ISIHAC recording in Buxton, from 2003. Humphrey Lyttelton reminisces about Lionel Blair's masterful charade skills to introduce a round of Sound Charades. 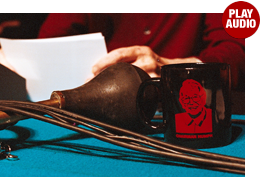 Featuring Graeme Garden, Barry Cryer, Tim Brooke-Taylor and Harry Hill. Humphrey Lyttelton introduces the I'm Sorry I Haven't A Clue teams to the riveting radio parlour game 'Hunt The Slipper', in his own unique style. From 1999. 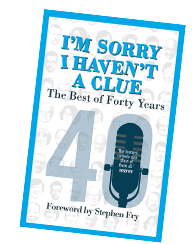 Humphrey Lyttelton explains the reason for the absence of the lovely Samantha at the close of I'm Sorry I Haven't A Clue. With Jeremy Hardy, from 2007. Gareth Owen, manager of Rhyl's Pavilion Theatre, helps Humphrey Lyttelton discover the meaning behind a welsh phrase from his childhood, which went on to shock the Archbishop of LLandaff. From I'm Sorry I Haven't A Clue, 1995. 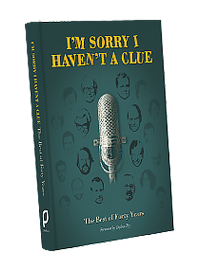 Clue regulars Graeme Garden, Barry Cryer, Tim Brooke-Taylor, Jeremy Hardy and esteemed Chairman Humphrey Lyttelton play agame called Stars In Their Ears on the I'm Sorry I Haven't A Clue ‘best of’ theatre tour. 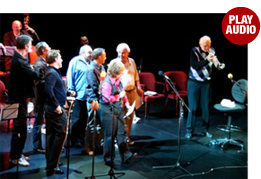 Recorded in 2008 at The Lowry in Salford. 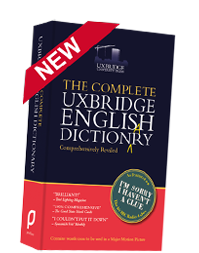 The team behind the radio show play a round of Uxbridge English Dictionary on the I’m Sorry I Haven’t A Clue ‘best of’ theatre tour. 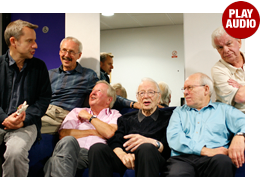 Featuring Humphrey Lyttelton, Barry Cryer, Graeme Garden, Tim Brooke-Taylor and Jeremy Hardy, accompanied by Colin Sell. 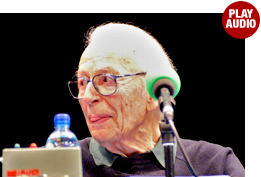 Recorded in 2008 at The Lowry in Salford. 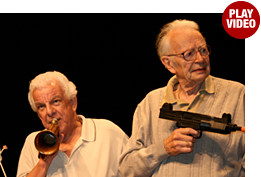 Chairman and jazz legend Humphrey Lyttelton picks up his trumpet to join in a round of Swanee Kazoo on the I’m Sorry I Haven’t A Clue ‘best of’ theatre tour. 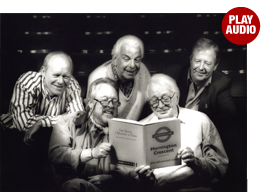 Featuring Humphrey Lyttelton, Barry Cryer, Graeme Garden, Tim Brooke-Taylor, Jeremy Hardy and the entire audience, accompanied by Colin Sell. 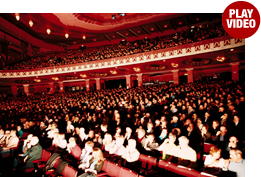 Recorded in 2007 at the Birmingham Hippodrome. 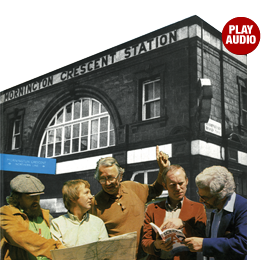 Andrew Marr takes the listener through themost definitive and complete guide ever produced to one of radio's most popular and enigmatic games; Mornington Crescent. The almost unbelievable story of this illustrious game is told via interviews with historians, scholars and members of the public, with contributions here from Dame Judi Dench and Sir Michael Gambon. 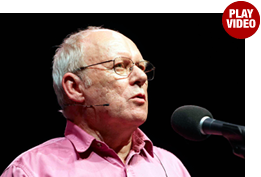 Archive footage of the first cricketing broadcast of the game of Mornington Crescent, starring Graeme Garden and Simon Greenall, narrated by Andrew Marr and written by Iain Pattinson. Taken from In Search Of Mornington Crescent, a fascinating documentary, both for Mornington Crescent novices as well as more seasoned players of the game. 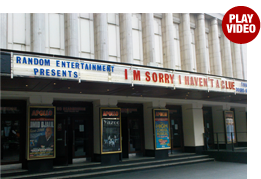 A BBC Radio 4 special where the team from I'm Sorry I Haven't A Clue present their own unique take on Lewis Carroll's most famous work, casting their reluctant chairman Humphrey Lyttelton in the title role. Here cast members come up with recipes for Nigella Lawson's 'Saucy Mouthfuls' (she makes a great sticky tart). Featuring Tony Hawks, Sandi Toksvig, Tim Brooke-Taylor, Graeme Garden, Barry Cryer, Andy Hamilton, Rob Brydon, Jeremy Hardy and Jack Dee. Kidnap victim Stephanie Slater explains how the show made her laugh, even when she was imprisoned in a coffin. CLICK HERE for official tour dates and details of how to buy tickets to the shows.